Hey there, marks and smarks! 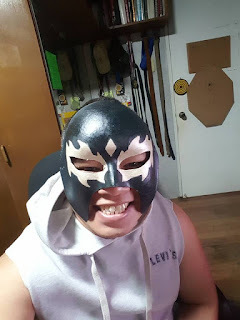 GCP here, back from the dead, to help you out with the common problem that most people have when wanting to dress up as a luchador for Halloween: the mask. Yes, folks. 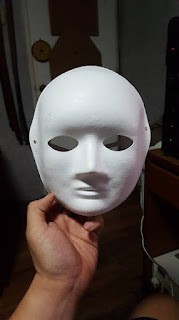 We're going to Art Attack the hell out of this dilemma by using a plain white face mask, some paint, and good ol' two parts glue, one part water. It's easy to make, though a bit time-consuming. Nevertheless, as someone who barely made it through high school art class, the mask still turned out better than I expected. So head on over to your nearest National Bookstore branch and get shopping! A plain white face mask (readily available in most National Bookstore branches, costs 60 pesos). Buy two or three if you're not confident in your painting skills. Step 2: Draw the pattern of what needs to be cut using a pencil. This will give you an idea of what needs to be cut. 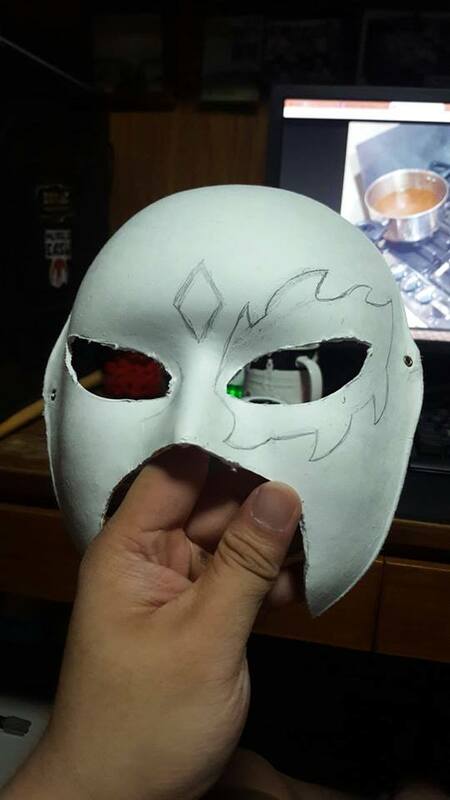 The eye holes on a stock mask are usually too small so those will need to be cut out as well. Use reference photos, if you have any, to map out the pattern and adjust where needed. For designs with an open chin area, use the scissors to cut out the mouth portion and use the cutter to clean up any rough edges. Be careful when cutting the holes for the eyes as the area is usually curved. Don't rush the cutting process. Take time to pause and look at where the cuts may be imbalanced. Adjust where necessary. 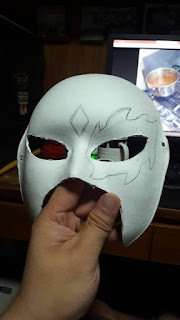 Step 3: Mark out the pattern of the mask that you want using a pencil. You can highlight the finished pattern with a pen to make painting easier. 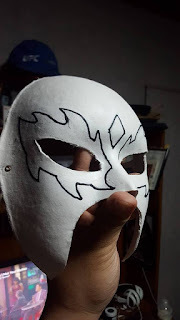 Step 4: Paint the base color of your mask first, let dry, then add another coat to get rid of any brush strokes. 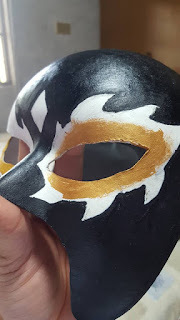 You can opt to use a spray paint for a cleaner look, just remember to put masking tape on the rest of the pattern that uses a different color. (Tip: Use a hair dryer if you want to speed up the process of drying poster paint. A warm room helps as well. Once the second coat is dry, start working on the smaller details. This is where having brushes in different sizes come in handy. Take your time with the pointed edges. Again, apply another coat of paint afterwards. Repeat the process for other colors. Retouch where necessary. Step 5. 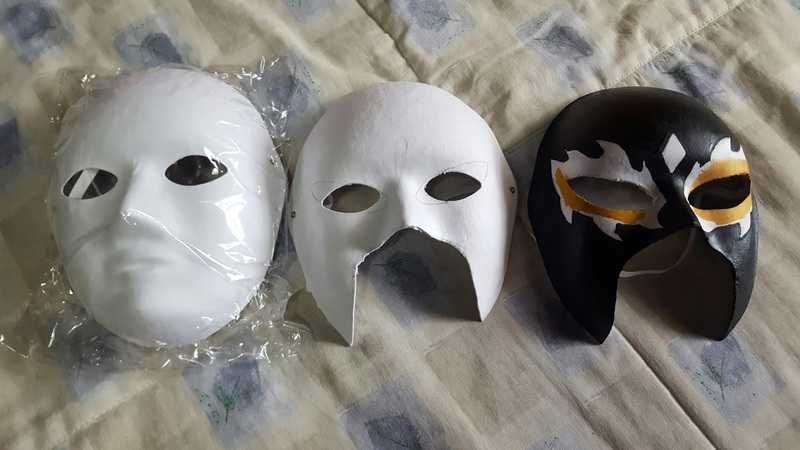 Once the mask is completely dry, find a costume to go with it and you're all set! There you go, guys and gals! 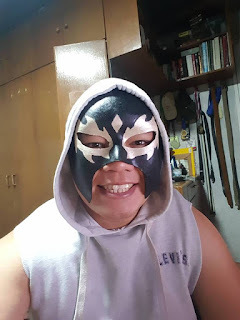 Hope this helps in making your very own wrestling-inspired Halloween costume that much easier. 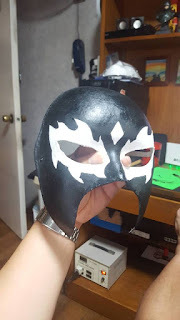 It was a fun, spur of the moment project that even kids will enjoy doing. If any of you have a spare lucha mask just lying around, I'd be happy to deconstruct it and make a tutorial on a real mask next time. 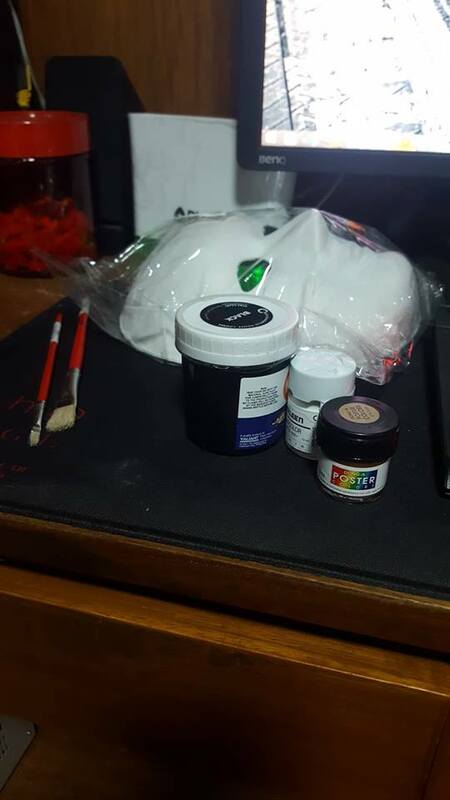 'Til then, happy painting! Catch PWR Live: Shake, Rassle, & Roll this October 21 at Shaw 500 Zentrum. Tickets are on early-bird discount right now. Just contact the PWR Facebook page for ticket reservations and group promos. The bell rings at 2pm. Guests are invited to come in wrestling-inspired Halloween costumes for the chance to win prizes. Wow, Awesome looking, Thank you so much for share your wonderful photos.